Many characters and stories from popular comic, including Wonder Woman, come from classical texts. 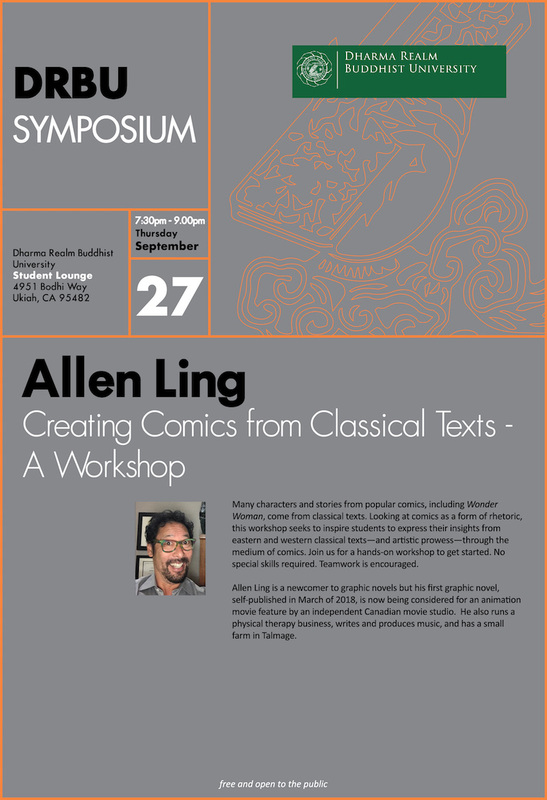 Looking at comics as a form of rhetoric, this workshop seeks to inspire students to express their insights from eastern and western classical texts—and artistic prowess—through the medium of comics. Join us for a hands-on workshop to get started. No special skills required. Teamwork is encouraged. Allen Ling is a newcomer to graphic novels but his first graphic novel, self-published in March of 2018, is now being considered for an animation movie feature by an independent Canadian movie studio. He also runs a physical therapy business, writes and produces music, and has a small farm in Talmage.